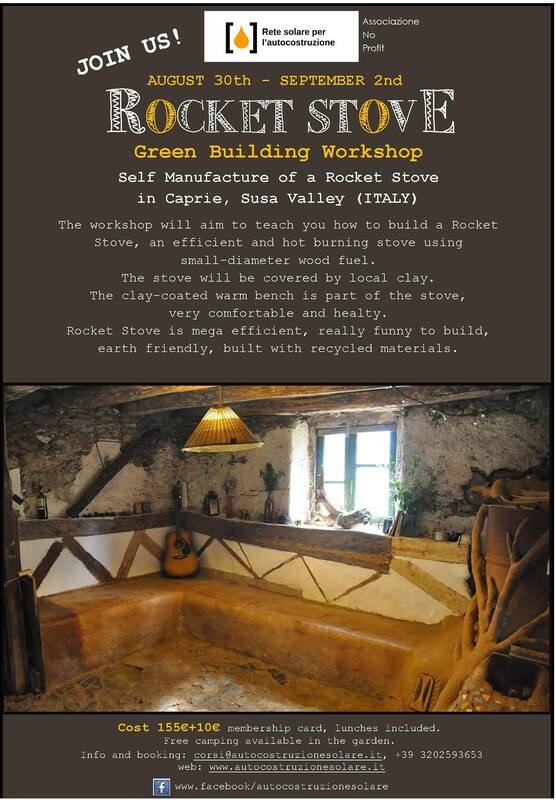 At the end of August there will be a workshop for learning how build a rocket stove. Workshop will be held in Susa Valley, beautiful mountain valley close to Turin, Piedmont. We will build a stove with high efficiency that reduce the consumption of wood and burn very slowly. The stove will be covered with local earth. Yu can bring your own earth that can be analyzed to prepare the right mixteure for plasters. The worshops costs 155€+ 10€ for association, lunches are included. Camping with tent is possible for free. Only 8 places available. For information corsi@autocostruzionesolare.it.